The new report SMART CITY INDEX 2014 assigns the podium of the most smart city of Italy in Bologna, Turin, Milan and Rome. The parameters to decide how smart are our cities, then, are the following: broadband, digital school, e-health, e-government, energy efficiency, sustainable mobility. The level of technological innovation of an urban center, in fact, passing by technology. In particular on urban mobility, an area of excellence Macnil, there has been an increase in new sevices car sharing, car pooling and bike sharing. In fact, in the field of so-called x-sharing, compared to last year, the number of municipalities that make capital available to the public at least one of these services has increased by 37%. There are also cities in southern Italy in the area of ​​”Smart redemption”, which increase their share of smartness: Bari, Naples, Catania and Lecce, for example. The road is still long for urban areas in the South, but the report made ​​by Between shows clear signs of recovery compared to the past. 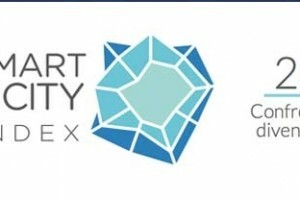 Smart City Index is the ratio also sponsor Telecom Italy, business partners Macnil.